Need help getting started or learning how to use a specific SheepBytes feature? Check out our new video tutorial. SheepBytes has already saved the price of the subscription by helping me fine-tune winter rations. Over-feeding a flock really adds up when barley prices are nearly $6/bu. 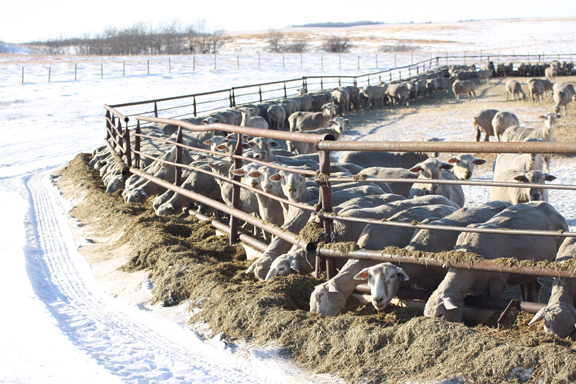 With a large flock saving ¼ or ½ pound of silage per ewe, every day, makes feed go further and cuts feed costs. Martin & Louise Catto, Lipton, SK.